How to Buy the Best Solar Panels - Sinoyin Solars Co.,Ltd. When we are about to buy a photovoltaic solar panel, we look especially at the price. But is the price the most important criterion when choosing a solar panel? There are many manufacturers that bring new models of very different qualities to market every year. How can we compare all these solar panels and know which one is best for our installation? There are many factors to take into account: manufacturer's solvency, warranty conditions, references of operation in other facilities, quality in the manufacturing process, certification tests and many more. They are undoubtedly important factors but often difficult to find out. 1.- Monocrystalline or polycrystalline: The basic difference is in the manufacturing process. The monocrystalline silicon cells are obtained from a single crystalline structure, while in the polycrystalline cells the silicon paste is allowed to solidify slowly on a mold, whereby a solid formed by small crystals of silicon is obtained. The theoretical yield of the monocrystalline is slightly higher, and also its price. 2.- Working voltage and number of cells: For isolated solar installations with batteries, the panels are 36 cells (12 V) or 72 cells (24 V). If the module we want to use in a small isolated installation that feeds a battery (monoblock for example) we will need 12V penalties, whereas if our installation is a little bigger and has a higher accumulation system (two monoblock batteries or 12 glasses) stationary) we will need 24V panels. 3.- Output power: It is the theoretical output power of the solar module, the term we usually use to refer to the size or capacity of the panel; Now it is a power that we almost never get under normal operating conditions because this value has been measured under standard measurement conditions (STC): 1000 W / m2 of irradiation, at 25ºC of cell temperature and a spectral distribution of 1.5 AM, conditions that very rarely reproduce in our day to day. 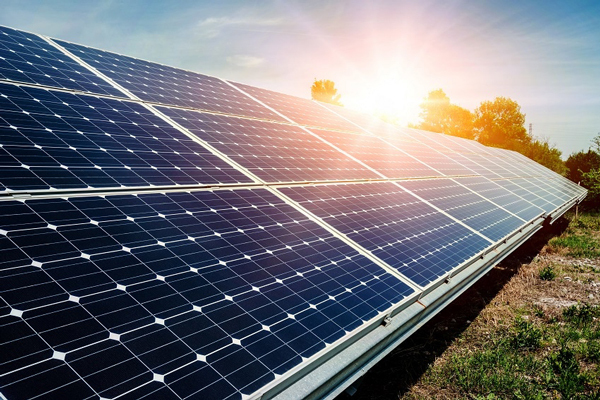 4.- Tolerance: Due to the manufacturing process and the different components that make up a solar panel, the power output can vary significantly with respect to that indicated in the technical characteristics sheet. We call this variation tolerance and it can be indicated in W or in%. 5.- Efficiency: The power that is capable of producing 1 square meter of photovoltaic solar panel when it receives irradiation of 1000 W / m2 is called efficiency of a photovoltaic solar panel. If the technical data sheet of a 245W photovoltaic solar panel shows that it has an efficiency of 15%, it means that for every 1000W / m2 of irradiation received by 1 square meter of the panel, it will produce 150 W of power. 6.- Electrical characteristics at nominal operating temperature: The power of the panels is given under standard measurement conditions (see point 3), but these conditions normally do not occur when the solar panel is in operation. For this reason, the power value in nominal conditions is more relevant (since these conditions are usually more common): 20ºC of ambient temperature, 800 W / m2 of irradiation, air velocity of 1 m / s and spectral distribution of AM 1, 5. The nominal operating temperature of the cell (NOCT): is the temperature reached by the cells of the module under normal operating conditions, mainly at 20ºC ambient temperature and irradiance of 800W / m2. It is important to know that NOCT has a direct relationship with the temperature reached by the cells at certain room temperature and that the lower the temperature of the module, the better it will work and the more power it will deliver. Therefore, the smaller the NOCT, the better. Power temperature coefficient: indicates the percentage loss of power output of the panel for each degree above 25 ° C which increases the temperature of the cells of the module. The smaller, much better.